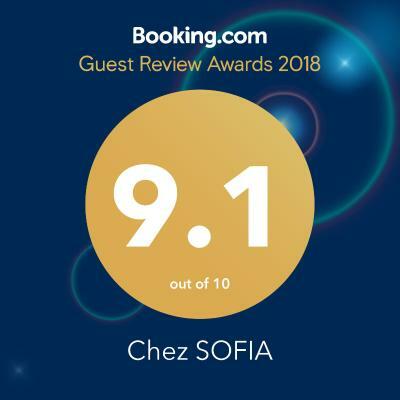 Lock in a great price for Chez SOFIA – rated 8.9 by recent guests! This homestay had a great balance of privacy and opportunities for casual conversation with the family in the living room. Everything was great! The hosts ste so friendly and hospitable! Clean toilet and room! Everything was great!!!! All recommendations!!! 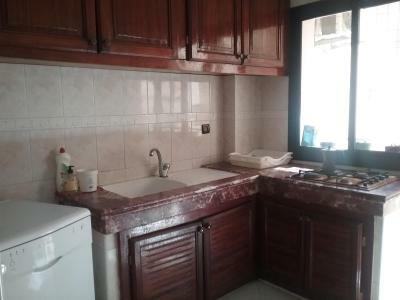 • The owners were very friendly and helpful, they arranged airport transfer for us at 6:30 in the morning for a reasonable price of 200 dh; • We could use the kitchen and the fridge; • The apartment was clean and tidy. 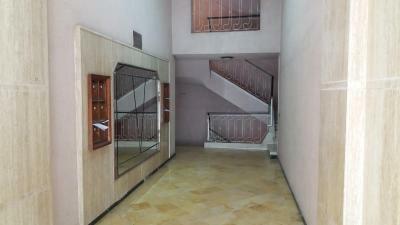 The owner and his daughter were very pleasant and even met me outside the premises on my initial arrival. This fact makes my rather negative review rather difficult. The Wi-Fi worked okay. Unfortunately, these are really the only positives I can think of in regard to Chez Sofia. Its close to Train station , near shops , big house & the owner who live there are kind & help us when we wanna buy ticket to Marrakech. We have share bathroom but its clean. 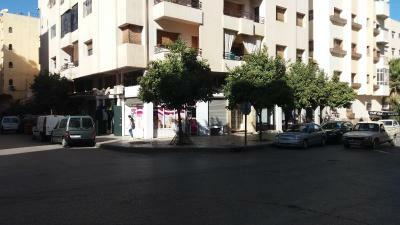 A perfect place for those first time in Fes - they arange taxi without adding to the price of it. Our plane arrived 1 hour late and the driver was still waiting. The place is very easy to find once you' ve been there, however, taxi drivers " from the street" would not know it. The taxi arranged by the place is a very good option anyway. 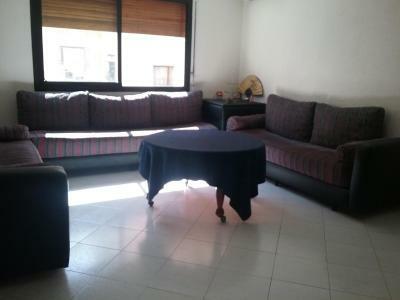 The place itself has everything needed, there is someone home all the time (yes, it is part of an appartment). If you need something, there is no problem to ask. The place is not in the medina, and for those it is even better (medina is a specific area). But the location is not bad - you could get everywhere - petit taxis ply the street and they are the best way to get around Fes. Every effort was made for our comfort and my stay was very comfortable. Lots of hot water, wonderful breakfast, warm, comfortable bed. Delightful hosts. The hosts where really nice and we enjoyed our stay a lot. 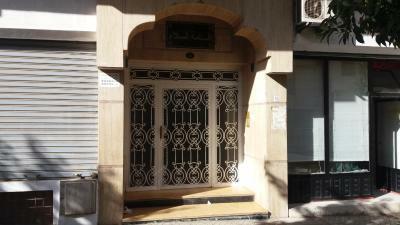 The owners were great on helping us planning our trip to Fes and giving us advice about cities next to us. The room and overall experience was great and satisfactory! Thank you! One of our best sellers in Fez! 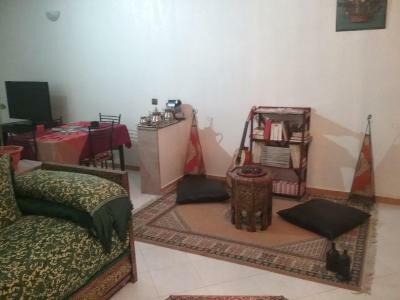 Located 1.6 miles from Royal Palace Fes, Chez SOFIA offers accommodations with a balcony. Complimentary WiFi is offered. Accommodations are fitted with air conditioning and features a flat-screen TV, a fully equipped kitchen with a dining area, and a private bathroom with free toiletries. 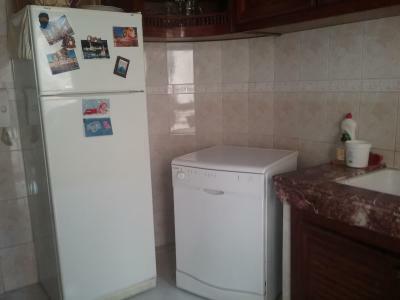 A dishwasher and coffee machine are also provided. 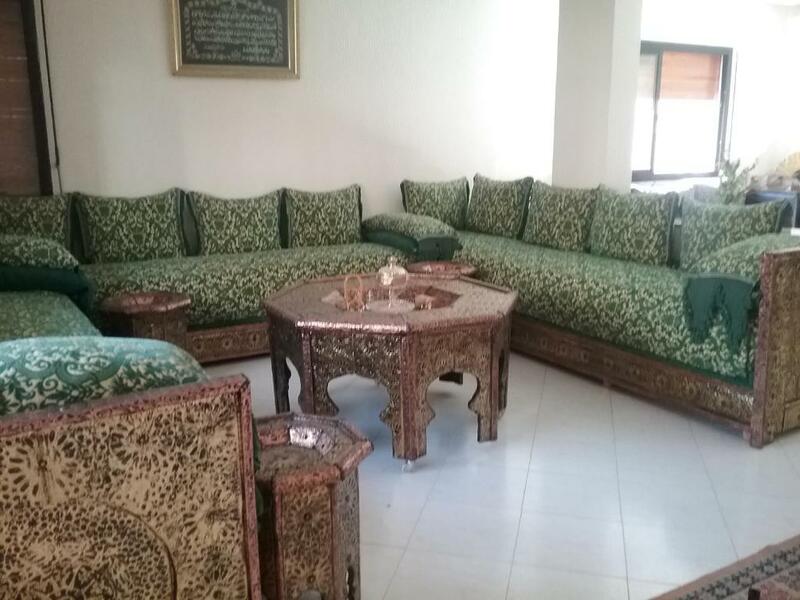 Guests at the family stay can enjoy a continental or a halal breakfast. At Chez SOFIA you'll find a restaurant serving African cuisine. A halal option can also be requested. Nouvelle Ville is an 18-minute walk from Chez SOFIA, while C.C.I.S Fes is 1.3 miles from the property. 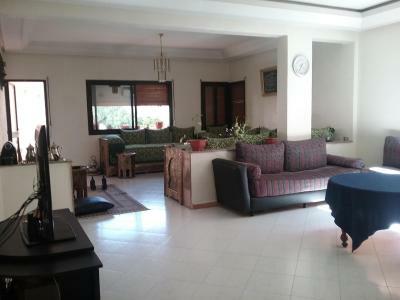 The nearest airport is Fès–Saïs Airport, 9 miles from the family stay. When would you like to stay at Chez SOFIA? This twin/double room has a dining area, toaster and microwave. House Rules Chez SOFIA takes special requests – add in the next step! Please inform Chez SOFIA of your expected arrival time in advance. You can use the Special Requests box when booking, or contact the property directly using the contact details in your confirmation. Very welcoming hosts. More a home-stay experience than a hotel / Riad. An easy walk from the train station. Everything was fantastic, very happy. I loved everything about my stay with Ikram and Sofia. They were attentive, friendly and gave great advice about the local area. One of the sockets is not working. Too cold for only one blanket. A soulless building on the outside houses a pretty soulless interior, without much evidence of life or other occupants. Quite a long distance from the medina by petit taxi. Bedroom, while adequate size-wise, was blandly decorated and furnished. A flimsy adapter for electric heater/charging, with only one visible socket on wall. Constant traffic noise from the street outside made sleeping very difficult. Bedroom door was problematic to lock and unlock. A shared bathroom . No breakfast. The floor was very cold, as everywhere in Morocco, so flip-flops/slippers would be a nice addition. The hosts were very kind and allowed us to leave baggage for the whole day after the checkout. Ikram gave us great suggestions about the sightseeing and what to eat, we followed them and they proved very useful. The hosts also gave us a heater, so we warmed room a bit before sleeping, but it wasn't cold at all. Even though the location is a bit distant from Medina, it costed us only 17 DHM to get from the Blue Gate back there, while the flat is a walkable distance to the train station. The hosts were super friendly, spoke good English and very well organised. Response time to our emails were within 30 mins max. They waited for us until late midnight since our flight was late and organised pickup and city tour for us the next day upon arrival and transfer for the next day. We had a fantastic stay and highly recommend this accommodation and host. Thank you for a memorable stay. Lovely family, very attentive and helpful. Very friendly hosts. Organized airport shuttle for me. 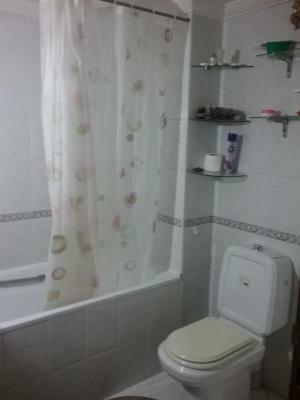 Just be aware that the bathroom is not en suite and may be shared if there are other guests. I had it to myself most of the time. It was wonderful to stay with, and be part of, this family. They all went out of their way to to make me feel welcome, to give advice about sights, buses, and shopping, and to make bookings on my behalf. It was lovely to come back to the peaceful apartment 10 minutes outside the crazy medina. The room was comfortable, and it was a bonus to be able to use the kitchen and washing machine. Ikram even gave me my own private cooking lesson, including taking me shopping for it. Thank you Ikram, Khalid, and Sofia.